Directing duo The Diamond Brothers (along with director Winslow Porter) crafted an impressive 360 degree, virtual reality “Diamond EYE” rig using nine Blackmagic’s Micro Studio Cameras and nine Video Assists. The rig was used to shoot a virtual reality experience for high-end fashion brand Chromat’s Fall/Winter 2016 LUMINA Collection runway show at New York Fashion Week. Finally, click for more information on Blackmagic Design’s Micro Studio Camera 4K and Video Assist products. 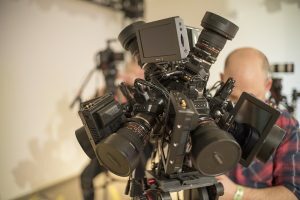 Fremont, CA – March 15, 2016 – Blackmagic Design today announced that nine Micro Studio Camera 4Ks and nine Video Assists were used to shoot high-end fashion brand Chromat’s Fall/Winter 2016 runway show at New York Fashion Week. 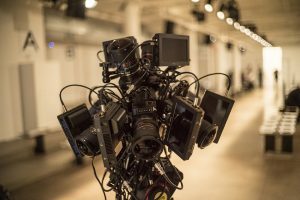 Working alongside Director Winslow Porter, Josh and Jason Diamond, for their VR company SUPERSPHERE, used the Micro Studio Camera 4Ks and Video Assists as part of their 360Design “Diamond EYE” rig to capture 360-degree shots of the models walking down the runway. The VR rig was situated at the top of the U-shaped runway to capture the best possible viewpoint and main view of the runway. “We shot from the press area, so viewers not only feel like they are sitting at the fashion show, but also get the immersive experience of being embedded among the press and paparazzi,” explained Josh, who was a producer on the project. 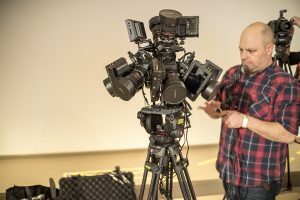 The “Diamond EYE” rig features a custom central mounting point, and all the Micro Studio Camera 4Ks were connected to it and calibrated for the final stitched frame. 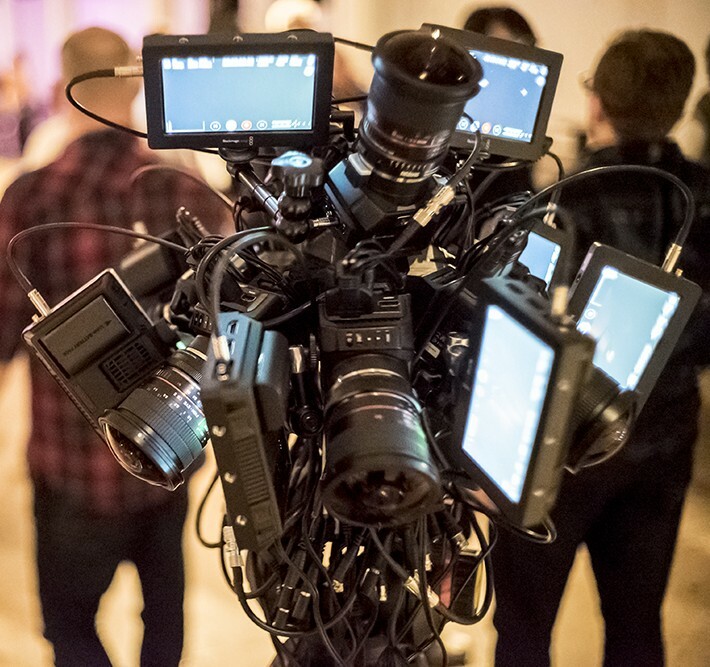 Each of the nine Micro Studio Camera 4Ks were connected via SDI to its own Video Assist, mounted to the cameras on tiny ball heads so they could be rotated. Two custom Switronix battery plates, each with nine 12v connectors from XLR cables, along with Switronix Gold Mount Batteries, were used to power the cameras and Video Assists. Josh noted how the Video Assist’s flexibility proved useful for the shoot. “They are small, lightweight, touchscreen, have solid mounting points and record ProRes to SD cards, all of which makes our workflow easy and streamlined,” he said.